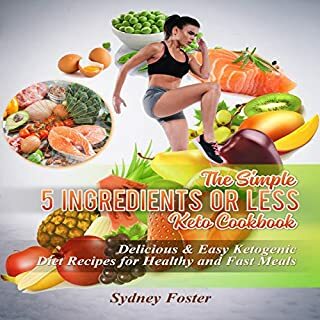 By listening to this audiobook, you will discover the wide range of healing properties of cannabis oil and how it can help you to live a healthier life without the side effects of pharmaceuticals. From the legal issues to the medical benefits, to the potential side effects, and even the various products available, this audiobook is sure to teach you everything you need to know about cannabis oil. Every year in the US, millions of people suffer from the use of artificial chemical drugs. If you were one of those people, don’t you think you owe it to your body to make a change? As far as natural healing goes, cannabidiol is incomparable. While easing anxiety and a host of other conditions, it does not produce a psychoactive effect on the user and is completely safe to use. Whatever your ailment is, CBD can have a profound and lasting effect on its management. I've heard promising effects of CBD on potential threat such as anxiety, OCD, depression, social phobia, GAD, PTSD, seizures and neurological diseases. This magical drug has a huge impact in our well-being. When CBD is administered in the right legal dosage, it emerges as a safer than most drugs we take today. CBD is safe, non-toxic and non-addictive. As the book says, chronic or neuropathic pain can be treated but can not be cured. However, drugs that we mostly use to relieve pain have side effects and can be addictive. When compared to these drugs, CBD is safe, non-toxic and non-addictive. It is also a natural product with minimum or no side effects. I'd recommend it! I've learned many long term benefits of CBD. One of which is counteracting the risky side effects of chronic pain. CBD is really an effective pain management solution! I won't be surprised if it will replace all the addictive drugs prescribed for chronic pain in the market today. If you want to get away from risky and addictive pain killers, CBD is a good non psychoactive drug that relieves pain. 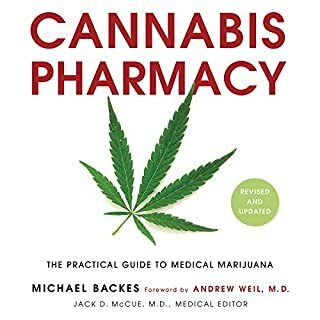 From what I learned from this book, CBD has to be used continuously for long term effectiveness. Considering that this drug is non-addictive, taking it in long-term is safe. First of all, it does not get you high. Second, it is a powerful drug that can cure various serious diseases and also helps fight anxiety disorders and PTSD. Third, it is legal. Fourth, it is safe to take it. And the list goes on and on. 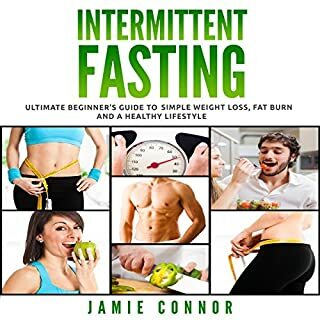 Just get this book! If only more doctors are going to prescribe this drug. It could have saved thousands, even millions of lives lost already. This audiobook is profound. It dug deep on how this medicinal cannabis works to cure even cancer. Great job in incorporating studies, research and clinical trials. I'd always expect to see proofs when dealing with medicines and health issues. It's a worthy listen. This is a complete package. Everything that is need-to-know about cannabidiol in a nutshell is here. It does not focus only on the good points of CBD but also on the possible side effects. Still, CBD is safe to use as long as you keep the legal dosage. I took a risk buying this book even though I am skeptical about the whole CBD thing. It's like a whole new level of drug, except it was not new. It has been used for a long time thousands of years ago. And it has been proven to cure a lot of illnesses. This book made claims that not every drug could have made. I would not believe it if not because of the proofs given by the book. Enough clinical trials and studies have been conducted to prove that CBD is a powerful drug to cure life-threatening diseases and mental illnesses. CBD has been recommended to me numerous times by my friend who also had anxiety disorders. I take pills currently and I want something more natural and little to no side effects in the long run. This is a perfect fit for me. And, it is legal! Learned a lot more medicinal purposes of CBD other than helping me in my anxiety. What a magical herb! Although epilepsy, seizures, anxiety, depression can not be cured, CBD can at least help control these incurable diseases. Cannabis is really a very vital herb and proved to have value in medicine. This is a good listen. CBD would be a favorable safety option compared to the current set of drugs we use today to control anxiety and to relieve pain. Another good thing that the book mentioned is that there is minimum or no side effects when using CBD. I'd still recommend consulting doctors or experts before taking the drug, even at 1% dosage. Stress kills! CBD has strong anti-anxiety properties and can relieve pain when used continuously. Knowing that CBD in legal doses in non-psychoactive, taking it continuously would be beneficial for me and for all people who are suffering from depression and even chronic pain. It is new to me so I had doubts at first. After listening to the book, all my doubts were cleared. I learned what CBD is, where to get it and how it works. For pain relief, just like herbal medicines, this one has the potential to really soothe the pain. 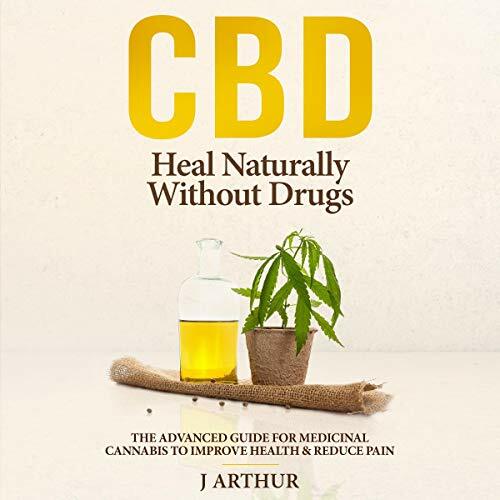 Other medicinal uses of CBD are also discussed by the book. 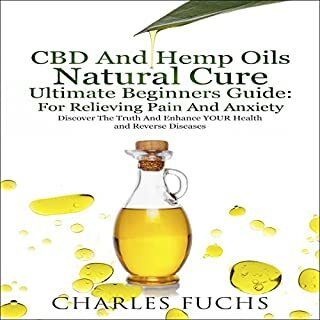 Could have added more chapters to broaden the topic about other illnesses that can be cured by CBD but I understand that the book's main thought is how CBD cures anxiety, ptsd and chronic pain. Overall, this is a nice listen in just a short period of time. 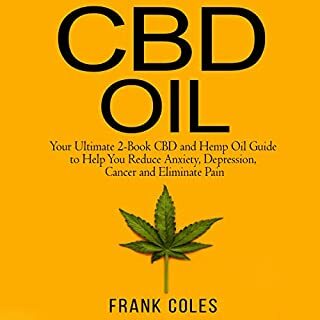 This book helped me and I am sure a lot of other common people will be helped as well if they only knew about the health benefits of CBD. Every chapter is designed to inform even the most skeptical listener. I was. Now, I am a believer. I've been using drugs prescribed by my doctors but they are not working well for me. I had enough research done before getting into this book. Listening to it gave me so much hope that more people with anxiety, like me, will be happier and live better. There is a growing demand for CBD in different forms such as oil, cream, tinctures etc. I was skeptical at first but as soon as I heard it is legal and does not get you high, I'm very much interested. 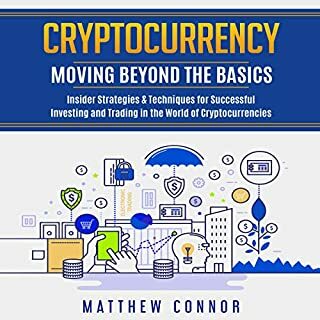 Good listen! The book tackled how to use CBD and the legal issues. Basically, there is no need for prescription for CBD medicine that is less than 1%. Anything beyond that may be considered illegal and needs prescription from the Doctor.